General Hospital (GH) spoilers tease that Sonny (Maurice Benard) will soon have a real fight on his hands. This is exactly what he was afraid of! When Sonny first heard that Avery (Ava and Grace Scarola) and Mike (Max Gail) were missing, he hesitated to get the police involved. Sonny told Michael (Chad Duell) that Ava would just use this against him. It seems like Sonny cares more about beating Ava than he does about his own daughter. Wouldn’t any normal parent have called the cops immediately no matter what? Why was Avery with her nanny anyway? Ava has to beg for time with her own kid. Meanwhile, Sonny and Carly ship the tot off with hired help. They can’t be bothered to look after Avery, so maybe a change is in order! That’s certainly the attitude Ava will have when this case is resolved. 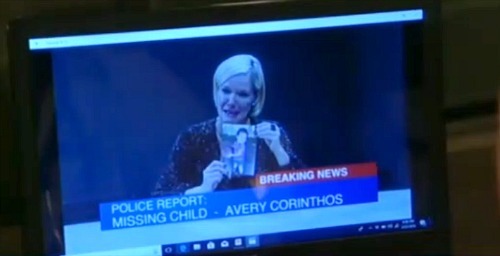 General Hospital spoilers say Ava will be relieved when she’s finally reunited with her daughter. Going through this experience will make her realize how much she wants to protect Avery. Ava will hope to make sure nothing like this ever happens again. Of course, Nelle (Chloe Lanier) will help fuel the fire. She’ll push Ava to stand up to Sonny and Carly in the coming weeks. General Hospital spoilers state that a major custody battle could be brewing. GH fans know a win for Ava could be a win for Nelle, too. Nelle will realize that if Ava pulls off a victory, it could make it harder for Carly and Sonny to take her baby down the road. Sonny will prepare for war, but he could be at a disadvantage. He’s juggling a lot at the moment, including caring for Mike, handling crazy Carly and worrying about the “field in Croton” threat. The last thing Sonny needs right now is custody drama, but he’ll just have a roll with the punches. 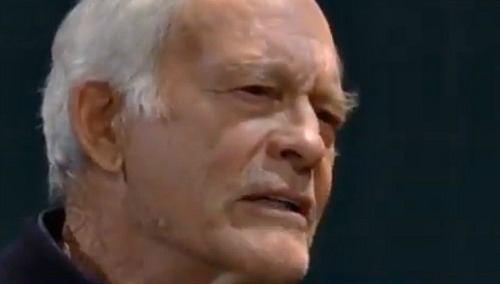 General Hospital spoilers say Sonny will be forced to make an agonizing choice. He’ll learn he must pick between his father and his daughter. Will Sonny will have to send Mike to a nursing home if he wants to keep Avery under his roof? The judge may feel like it’s the only way to keep Avery safe. Which loved one will Sonny choose? Will he accept that Ava is a capable parent and savor the time he has left with Mike? Will he break his dad’s heart instead? We’ll give you updates as other GH news comes in. Stay tuned to the ABC soap and don’t forget to check CDL often for the latest General Hospital spoilers, updates and news.